I started to research my family's history about 15 years ago. After my father died my sister and I discovered two letters which he had received from his cousin, Iris (1), in the 1980s asking if he knew any of the details of "grandmother finding the boy beyond the kitchen door with his throat cut". My father denied any knowledge of such an event and strongly denied that his father had ever mentioned anything about it either. It was this question which spurred my interest and slowly over a number of years I was able to get at the truth, although it was only within the last few weeks, that the final twist to the saga has been uncovered. My grandfather, James Ernest Craxford, and his brother, William, were born in the village of Cottingham, Northamptonshire in the 1870s but both moved to Leicester shortly after the turn of the century. 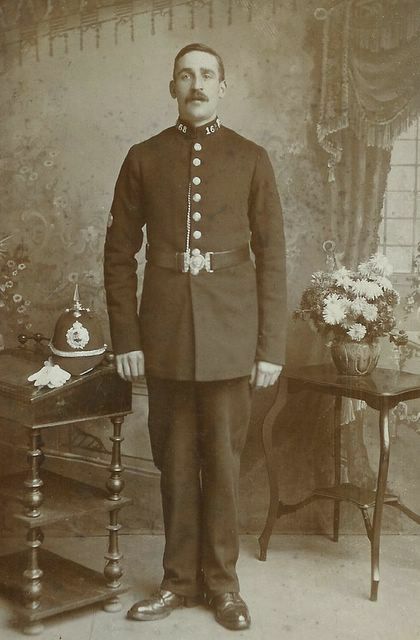 James Ernest worked for the railway; William became a policeman. My father, George, was born in Leicester in 1914 and when he was demobbed from the Army after World War 2 he bought a house on Fosse Road North between King Richard's Road and Noble Street. This became the family home for nearly 40 years. I was born in 1946 and for the last two years of his life our grandfather lived with us. During his lifetime George rarely spoke about his own side of the family and maintained very little contact with Northamptonshire. We knew nothing of paternal aunts and uncles during our childhood. During the 19th century, Cottingham was a typical rural agricultural village with a stable population of about 600 souls. It did not take me long to realise that there was a relatively small number of surnames in the village which continued to crop up in the records, with families repeatedly associating and intermarrying with one another. After considerable research, it transpired that my paternal great grandmother, Sarah Ann Claypole, had given birth to two children before she married my great grandfather, John Craxford. Those two children, Elizabeth Alice and Christoper Thomas, maintained her maiden name - hence the initial difficulty in tracing the boy. 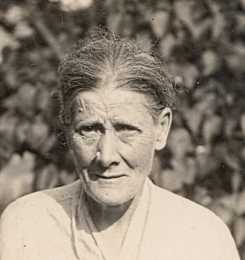 Iris' letters had made mention of an Aunt Lizzie who had married a man named Hobbs and had moved to Kent. At the time of writing the second letter (1987), Lizzie's son was still alive aged 95 years. That gave us our first breakthrough tracing his line back to his parents' marriage in 1890 and then to Lizzie in the 1870 census. After she was born, Lizzie was left to be brought up by her grandfather, John Claypole, whose name was written in the father's space on the marriage certificate. Christoper Claypole was born on June 17th 1869 and died on May 1st 1875. At the time of beginning our research, locals living in Cottingham were mainly unaware of the historical events. However a copy of the Northampton Herald newspaper of the day held at the Northampton Library gave us the awful truth. My grandfather's 6 year old half brother was murdered by Henry Crane, the next door neighbour. He had sent Christopher to buy some "suckers" (sweets) from the local shop and then dragged him into his house where he killed the lad by cutting his throat. Transcripts of witness statements are held at the National Archives. At the inquest Crane said he would have "done the other one if he had got him in" (meaning "little Jimmy", my 2 1/2 year old grandfather). He was committed for trial but was found unfit to plead. He was sent to the Criminal Lunatic Asylum at Broadmoor. Henry Crane was one of six brothers, four of which sired large families. Henry, who married Mary Sculthorpe in 1853, had eleven known children. Henry had a reputation of being "an odd character" and there is evidence of domestic violence towards Mary. In 1873, Mary made a complaint to the police and took out an injunction against him. 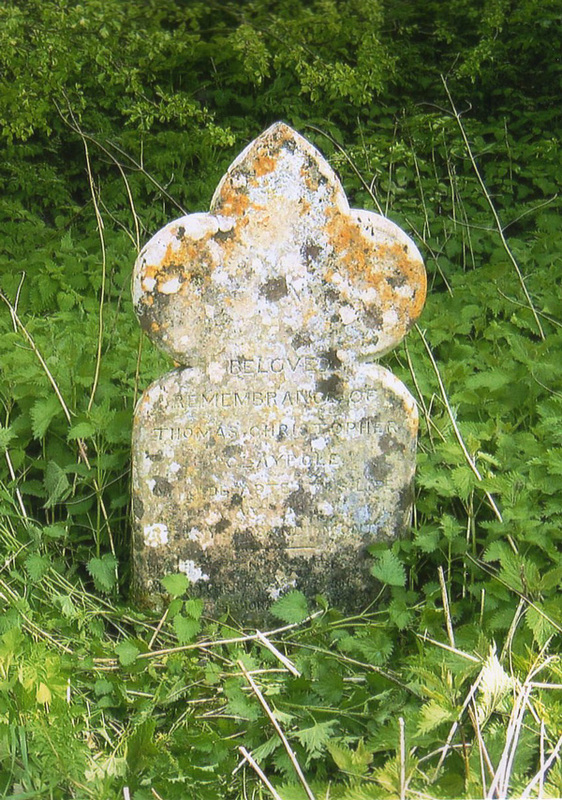 He moved out of the family home, and it seems likely that his brother, Amos who lived next door to John and Sarah Craxford, pointed Henry in the direction of the empty cottage on the other side. 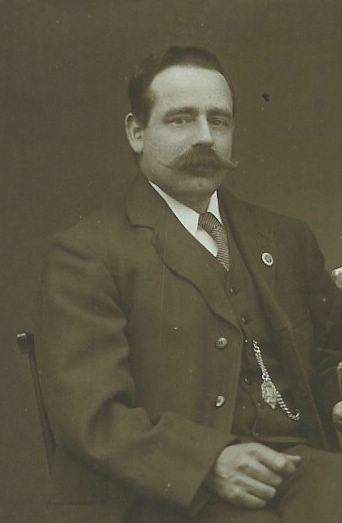 Henry's eldest daughter, Emma, moved to Leicester with her first cousin, Vincent Sculthorpe where they were married in 1876. 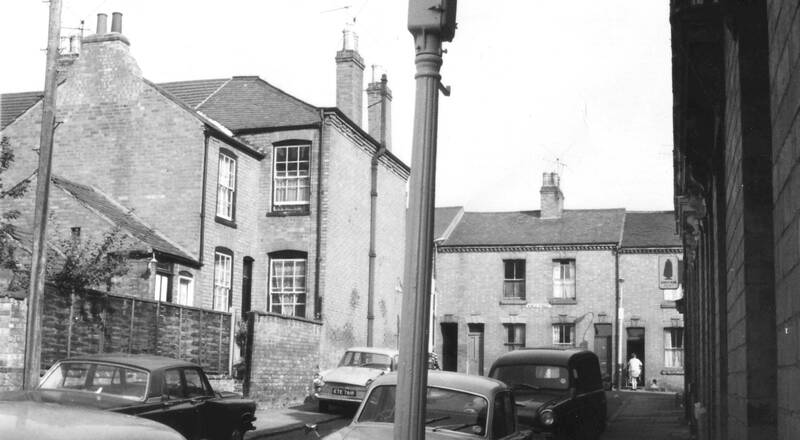 I had already noted when researching the history the West End of Leicester that Vincent and Emma had bought a house in Flora Street which was immediately behind our own home. I was also aware that they must have been amongst the earliest occupiers of the property given the timing that the old Dannett Hall estate was developed and they lived there for nearly 50 years. 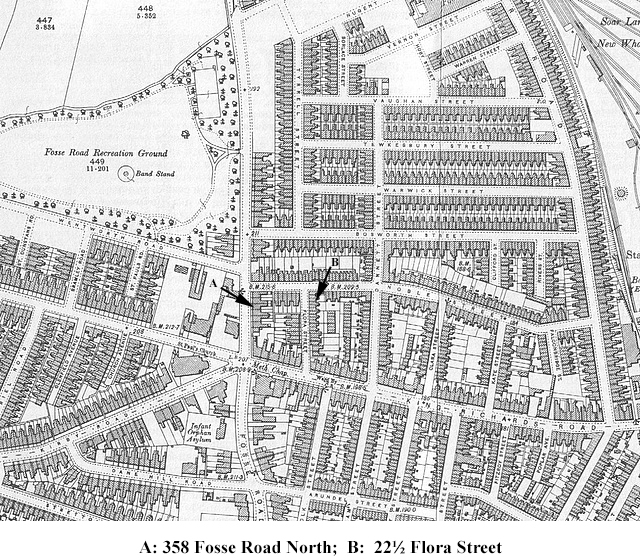 That was a fascinating coincidence enough (Cottingham to Flora Street is a distance of nearly 30 miles) but as they had both died before the outbreak of the Second World War, nearly ten years before my father moved into Fosse Road North, I thought no more about it. My family history research has thrown up many remarkable coincidences but this one to me seems incredible. Not only did my father not know about his half-uncle's murder (and denied that his father even knew about his half-brother), we as a family had been living just around the corner from these two elderly ladies for 17 years. We must have passed them in the street, shopped at the local corner shop and off licence - and even I as a young paper boy would have delivered their morning papers - without this knowledge. It is this which makes family history research so fascinating and so unpredictable. I had a morning paper round from Mitchell's Stationers and Newsagents for several years towards the end of the 1950s. 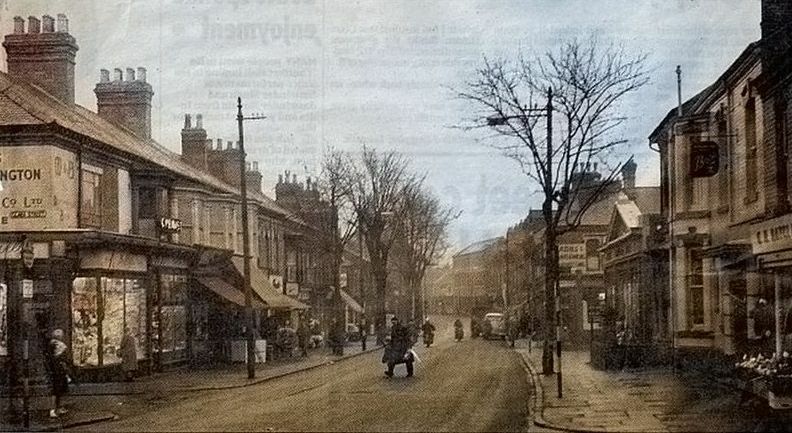 Theirs was the seventh shop in the block on the left hand side of King Richard's Road in the image below.The round took me into the back closes and passageways off the side streets, including Flora Street, that ran from King Richard's Road and Glenfield Road as far as Muriel Road. Much of King Richard's Road and Noble street was demolished in the early 1970s to make way for a new dual carriageway road. In all, 1084 houses disappeared. Looking from King Richard's Road towards Noble Street, the left hand side of Flora Street was spared but the right hand side was removed and rebuilt. In the 1971 picture below, the off licence on the corner of Flora Street and Noble Street can be identified from the "Sandeman Port" sign attached to the wall. It can be seen against the backdrop of the house on the other side of Noble street below the level of its roofline. The rear of 358 Fosse Road North is immediately behind the house on the left. 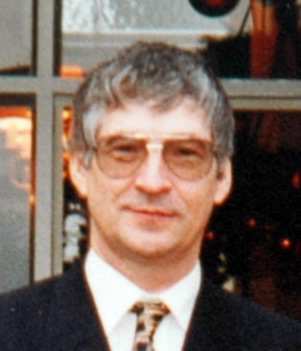 1. Letters from Iris Craxford to George Craxford 1987 Murder most foul?? In Cottingham??? 8. The top of Flora Street 11-29, 1971. The image is copyright and was taken in 1971 by Dennis Calow. It appears in the section "Vanished Leicester" in the My Leicestershire History website and is reproduced here under the terms of this Creative Commons Licence. 9. Leicestershire And Rutland Family History Society website.